Saves on floor space and offers instant retrieval at the job site or desk. 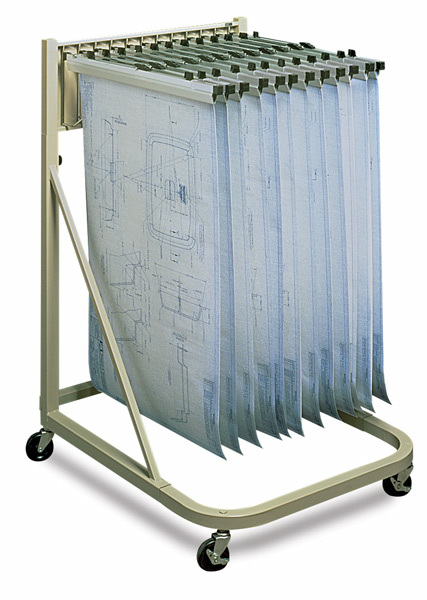 Free-standing file rolls easily on four 3" ball bearing swivel casters (front 2 lock). Holds up to 12 hanging clamps in pivot brackets (brackets are included, but hanging clamps are sold separately). Square tubular steel construction. Tropic Sand baked enamel finish. Quick and easy assembly.